"This bounty hunter is my kind of scum, fearless and inventive." 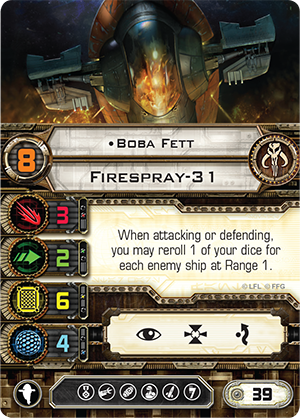 If you hope to claim the bigger bounties, you'll want to fly a better fighter… Fantasy Flight Games is proud to announce the upcoming release of Guns for Hire, a Scum and Villainy aces expansion for X-Wing™! 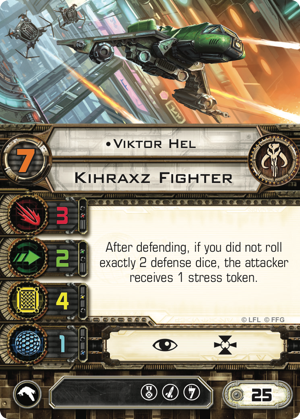 With its bounty of new Title cards and other upgrades, Guns for Hire adds tremendous versatility to the Scum faction's Kihraxz fighters and StarVipers. 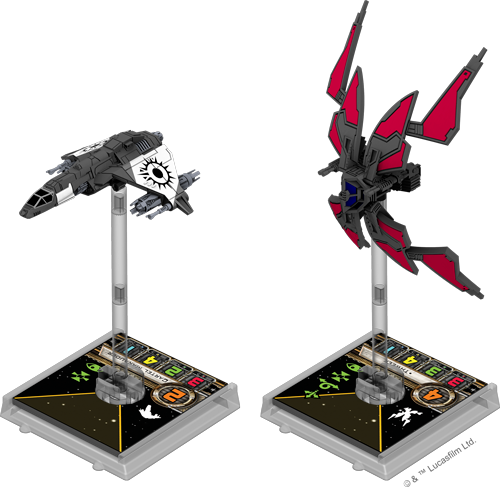 Accordingly, you'll find both ships represented by miniatures with eye-catching alternative paint schemes, and you'll find a handful of ambitious new pilots eager to fly them, including some of the greatest spies and bounty hunters from the Edge of the Empire™ and Force and Destiny™ roleplaying games. 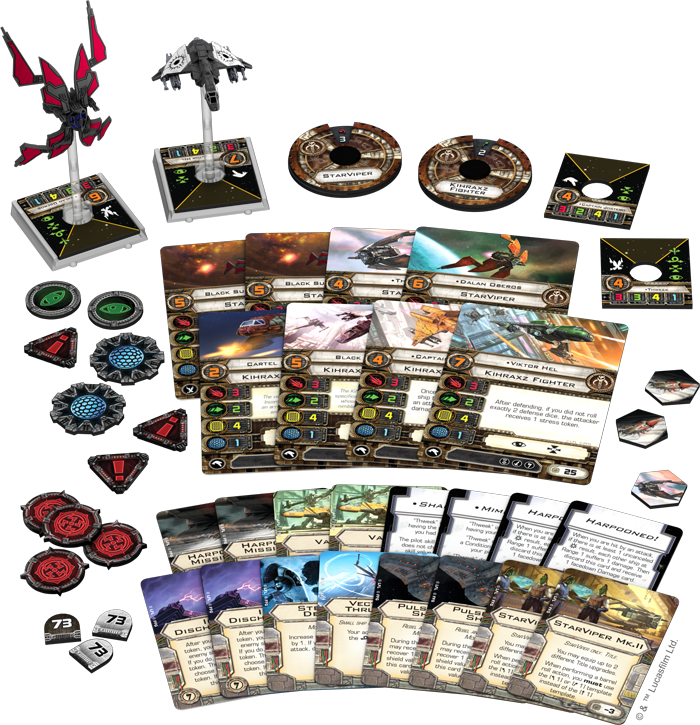 Altogether, Guns for Hire supports your galactic ambitions with no fewer than two starfighter miniatures, eight ship cards, twelve upgrades, and four condition cards. You'll also find all the maneuver dials, bases, and tokens you need to send these mercenaries to fight on your behalf. In the end, your credits might not guarantee you victory. But they'll certainly help! When you're a fighter pilot working with the galaxy's Scum and Villainy, you need to stay updated with all the latest tricks and tech. Every new weapon is an investment in your future. 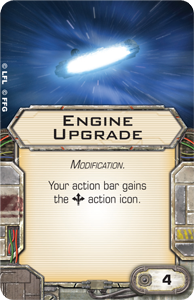 Every new modification is a chance to gain an edge over your rivals. 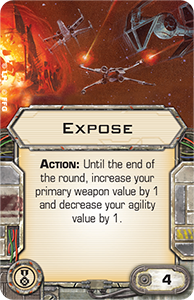 And there are plenty of new ways to modify the starfighters from Guns for Hire. 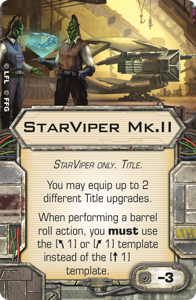 These new modifications begin with the expansion's two Title upgrades, the Vaksai and StarViper Mk.II. .
Because these Titles are both non-unique, they guarantee your Kihraxz fighters and StarVipers will emerge from Guns for Hire with facelifts that go well beyond their new paint schemes. 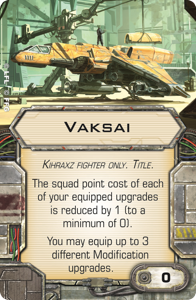 The Vaksai allows your Kihraxz fighter to equip up to three different modifications, each at a one-point discount, and that means you can outfit the close-range dogfighter with upgrades like Vectored Thrusters and Engine Upgrade that make it even more maneuverable in the thick of combat. 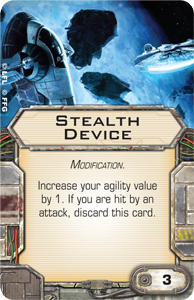 Or you can increase its durability by outfitting it with a Pulsed Ray Shield. 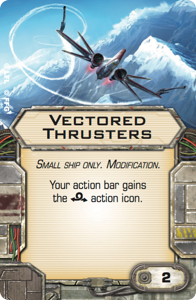 The tremendous customization enabled by the Vaksai Title ensures your black-and-white Kihraxz fighter won't just represent the Black Sun's financial interests in certain parts of the galaxy; it will represent your pilot's specific skill set—a starfigher perfectly tailored to match the talents of the individual flying it. The StarViper Mk.II, on the other hand, forces a new quirk upon all its pilots. 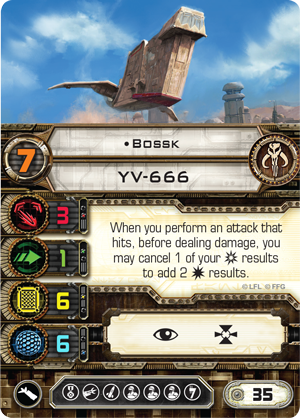 The refinement over the previous iteration of the StarViper reduces its squad point cost by three points but demands that your pilots perform their barrel rolls with a speed "1" bank template, rather than the speed "1" straight template. This adjustment may throw off some of the ship's less experienced pilots, but more experienced veterans should adapt quickly. And they'll likely be pleased by the extra upgrades—like torpedoes or Autothrusters —that their employers can afford to provide them now that the ship itself consumes less of their whole squad point budget. 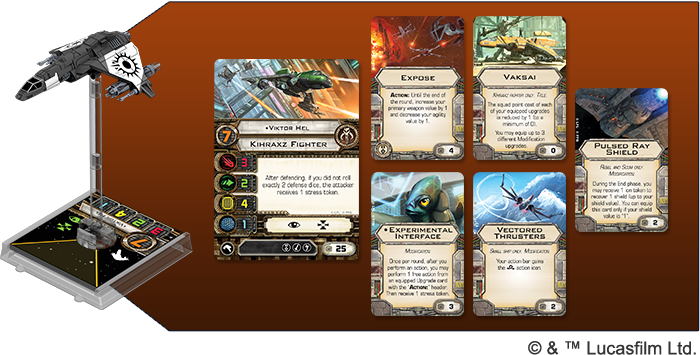 Once you've filled your fleet with Kihraxz fighters and StarVipers, you'll need pilots to fly them. 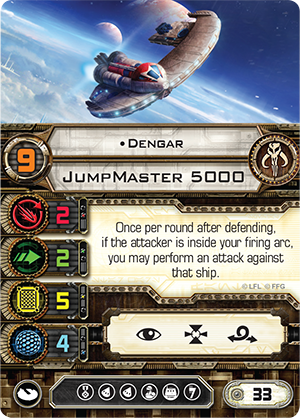 To this end, Guns for Hire comes with eight ship cards, including four unique aces and an assortment of four more marauders and assassins. It's a motley crew, and there's little that binds them all together other than their mercenary attitudes. Still, they represent some of the best talent your credits can buy, and they'll make your fighters sing in battle. For example, even though Viktor Hel isn't as well-known as bounty hunters like Boba Fett, Bossk, and Dengar, it's telling of his skill that he's been able to ease into semi-retirement. He's collected enough bounties to turn away from the job—for the most part—and, most importantly, he's lived to tell his tale. While part of Viktor Hel's survivability may result from his Kihraxz fighter's innate agility, four hull, and point of shielding, it's likely that an even greater portion owes to the way he makes himself an undesirable target. Whenever Viktor Hel defends against an attack, if he doesn't roll exactly two defense dice, he forces his opponent to receive a stress token. Since his Kihraxz fighter has an agility of "2," Viktor needs to either add to or subtract from his total number of defense dice to trigger his ability. 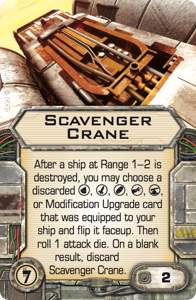 The easiest way is to equip a Stealth Device, but since the upgrade would be discarded as soon as his ship takes a hit, it might not be the best—unless it's also paired with a Scavenger Crane. Alternatively, you can try to keep Viktor Hel at range "3" of your opponent's ships. You can even go the opposite route and lower Viktor Hel's agility with Expose. 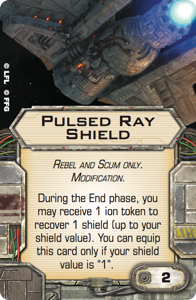 And while this makes it likely he'll lose his shields, the Vaksai Title reduces the cost of outfitting his ship with the Pulsed Ray Shield that can get them active once more. Plus, it allows you to add other modifications, as well. 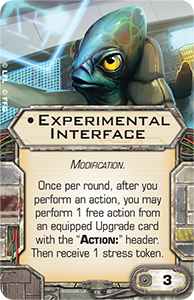 Perhaps an Experimental Interface to gain extra actions? 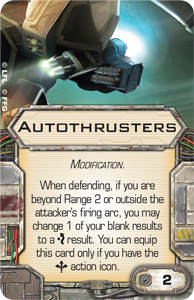 Or Vectored Thrusters? Just as the expansion's new Titles and upgrades present you new ways to tailor your ship for battle, so do its new pilots, as all their abilities can be incorporated differently in different squads. 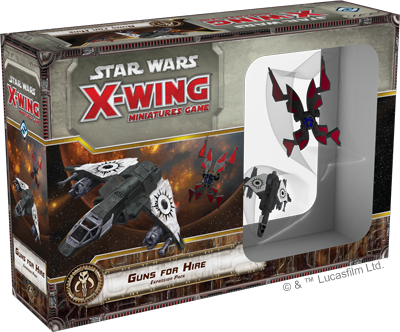 Like the X-Wing aces expansion packs for the Rebels and Imperials, Guns for Hire promises to reshape the way you use its starfighters. They become more versatile, more customizable, more efficient, and deadlier than ever. Whether you've just become a new fan of the Scum and Villainy faction or you're already the head of a vast criminal empire, you'll find plenty to appreciate among the expansion's ships, upgrades, and conditions. And, of course, you'll find fearless and inventive mercenary pilots ready to adopt your cause—so long as the pay is good. Guns for Hire (SWX73) is scheduled to arrive at retailers in the third quarter of 2017!